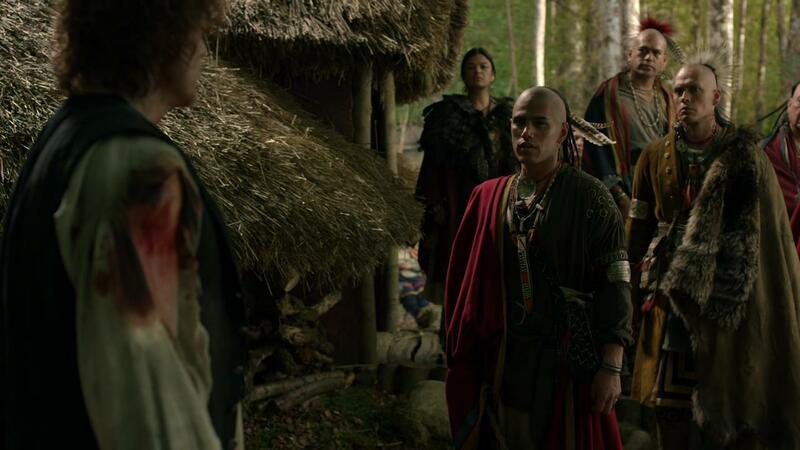 To depict the Native Americans whom Claire [Caitriona Balfe] and Jamie encounter and ultimately befriend, production cast, flew in, and housed roughly 200 indigenous extras from Canada to portray the inhabitants of a Mohawk village, which was constructed in a public park in Scotland. A very interesting article. That was a controversial choice of an actor with a criminal background, however he did apologize for his actions. Diana was right it maybe was not a good choice, but she has no control over the hiring of the supporting cast. i hope this doesn’t put a negative light on Outlander, because it still is the best show on TV..
? Criminal background? Where was that discussed? It’s great that Matt addressed a couple questions I was pondering on the second or third viewing last night. 🙂 Thank you for the back story and for sharing it. You have to read the whole interview.